Found 28 file extension associations related to QuarkXPress and 21 file formats developed specifically for use with QuarkXPress. 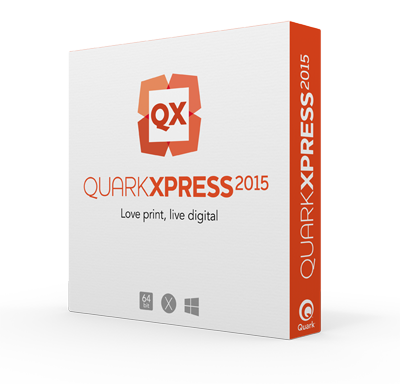 QuarkXPress is design software that lets anyone create and publish rich, compelling materials for print, the Web, e-readers, tablets, and other digital media in one easy-to-use tool — no ­coding or programming required. QuarkXPress also allows designers to produce single-page flyers to the multi-media projects required for magazines, newspapers, catalogs and many more. Convert Adobe Indesign, QuarkXpress, or Microsoft Publisher documents - Conversion of INDD, PUB and QXP fiormats with Markzware Plugins and Xtensions.. If you need more information please contact the developers of QuarkXPress (Quark, Inc.), or check out their product website.